Continue reading Out soon at Grindfather prod! more info Continue reading Attention Melbourne! New stuff from Grindfather prod! Contact: grindfather.prod@gmail.com Continue reading New stuff from Grindfather prod! 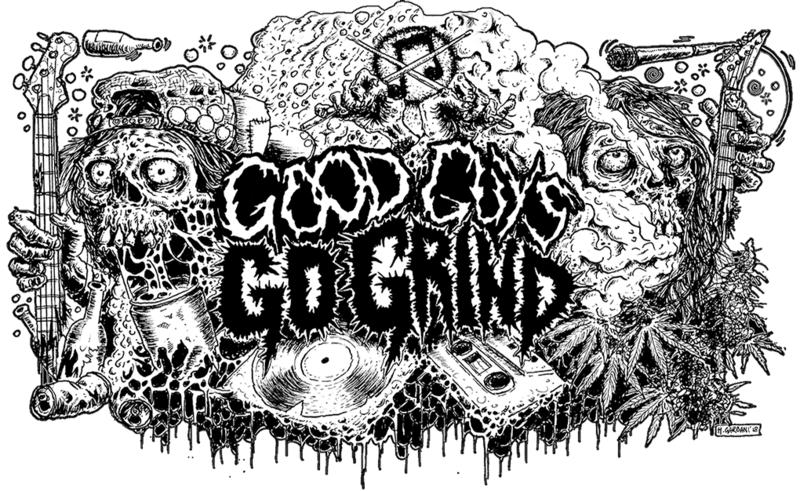 Great live split between belgian monsters Agathocles and canadian G.O.D.! Also expect for nasty Clogged shirts! For mor info and for orders write to: grindfather.prod@gmail.com Continue reading New stuff from Grindfather prod! For all questions write to grindfather.prod@googlemail.com Continue reading Out NOW! Clogged & PizzaHiFive! Great news from Grindfather prod! Continue reading Clogged & PizzaHiFive! Great news from Grindfather prod! Clogged tapes are out on Blarghstrad rec! For orders/trades: blarghstradnoisesmith@gmail.com Continue reading Clogged tapes are out on Blarghstrad rec!